In poor financial state during the Sixties, the Rootes group was taken over by Chrysler, eager to build for itself the same kind of global empire its main rival General Motors and Ford already had at their disposal. Alas, as we already discussed earlier, Chrysler was soon moribund itself. Furthermore, the American giant multiplied mistakes in its management of its European subsidiaries: throwing away the old Rootes nameplates to which the British drivers were attached in order to make space for the lone “Chrysler” name, sacrificing the traditional Rootes quality on the altar of cost... you can check here for a few additional idiocies perpetrated under American “direction”. By the mid-Seventies, with its coffers desperately empty, the former Rootes group’s production was limited to the old Imp, the old Hunter and the not-so-old-but-rapidly-becoming-older Avenger. See the picture? Chrysler’s big shots got an idea to insufflate new life into the dying body of the old firm. They approached the British government and blackmailed it: if public funds would not support the company – in other words if the taxpayer’s money would not pay for the American management’s blunders – the factory would be simply closed. The economic circumstances were perhaps more problematic in Britain (and yet more in Scotland where the factory stood) than they were in the rest of the world at this time, so the government, eager not to send more people to the dole, signed the check. The financial effort was certainly a large one for the government, but was still insufficient to alleviate Chrysler’s disaster. If it allowed to introduce a new model, simply called the Chrysler Sunbeam, this car was nothing more than a stopgap. The Sunbeam was a compact hatchback, only available with three doors. Though the body was brand new, under the skin virtually all components were carried over from previous models. The platform was a shortened version of the Avenger’s one, which meant rear-wheel-drive was retained at a time when most popular cars had turned to FWD. Surprisingly, it would have been easy to draw parts from Chrysler-Simca as Chrysler’s French subsidiary then had most of its models powered through the front wheels, though this wasn’t the company’s choice. Base engine was the small 900cc already provided by Coventry Climax for the Imp, and a larger 1.3-litre block. The Chrysler Sunbeam was ready for the 1978 model year, a precious addition to a range from which the Imp and the Hunter were now absent. Despite its limitations (anaemic base engine, limited range, unpractical rear hatch) the new car appeared fresh enough to sell in decent numbers. Nonetheless it would probably be forgotten today if not for its performance versions. In early 1979, Chrysler applied the Volkswagen Golf’s methods and introduced a Sunbeam Ti, fitting into the small car a 100-hp, 1.6-litre engine lifted from the Avenger. An even more potent version of the Sunbeam was just a few weeks away: the Sunbeam Lotus. Chrysler had secured Lotus’ help to design a very special version of its car, aimed at rally racing. Lotus squeezed its own 2.2-litre engine, good for 150 hp under the bonnet. 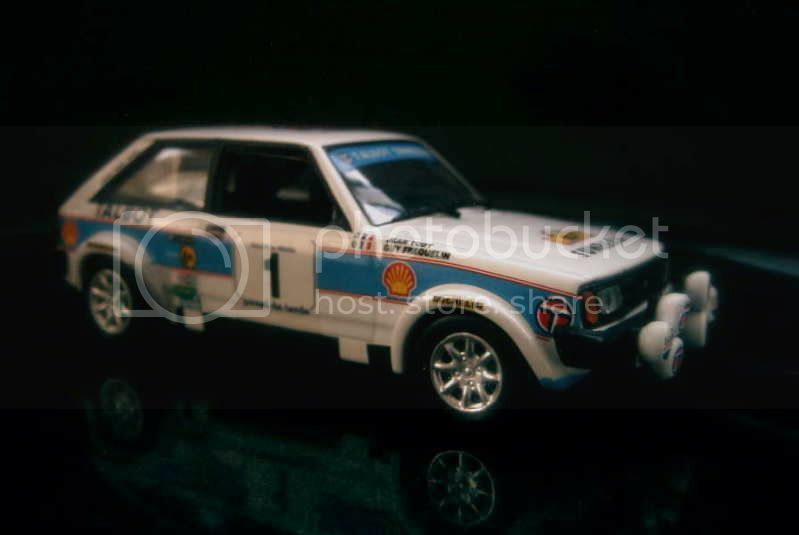 As it turned out Chrysler would never see its Sunbeam race in rally racing. Before the development of the car was over the whole European subsidiaries were turned over to PSA. They were not even sold, considering their extremely poor state, but given instead, the only requirement for the French group being to shoulder their huge debts. 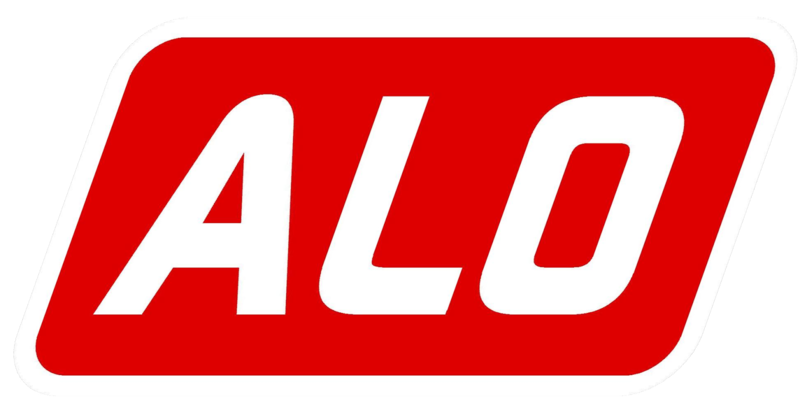 By mid-1979 Peugeot revived the old Talbot name in order to replace the Chrysler badge on all the products it inherited from the American company. The British models were condemned, though they were kept in production for the time being. 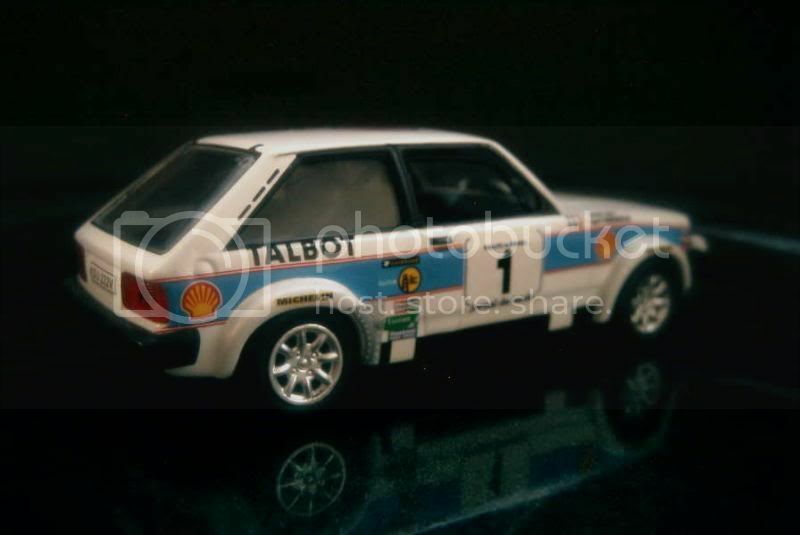 Peugeot made good use of the Talbot Sunbeam Lotus, which after initial successes during the 1980 season went on to win the whole world championship for manufacturers in 1981 (Ari Vatanen got the driver’s title at the wheel of a Ford). Nonetheless the car was now in its very last year. All the remaining “genuine” British models, the Sunbeam and the Avenger, were removed from the range at the end of the 1981 model year. Production of the Sunbeam stood at 200,000, with about 2,200 of these being of the famed Lotus variant. A very average job from Ixo for Altaya. The all-red rear lights of this version are particularly annoying. I'll give a 9/20 to it, no more.